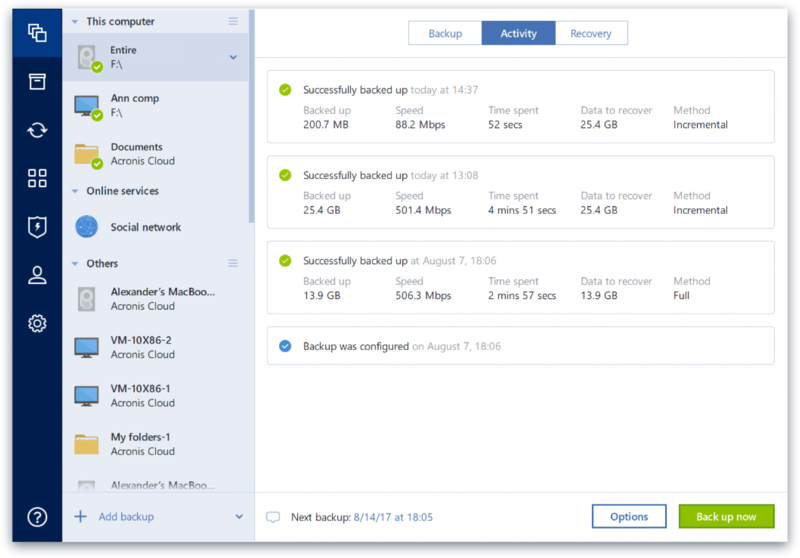 Acronis True Image Review: "Outstanding for an Imaging Software"
Acronis True Image is being used for backup/recovery for users that we provide services for. It's being used by the information technology department currently, mainly because this department is most suitable to use this software. It also helps our business in many ways; it saves us money and time and most importantly, it saves the data of valuable users at the organization. 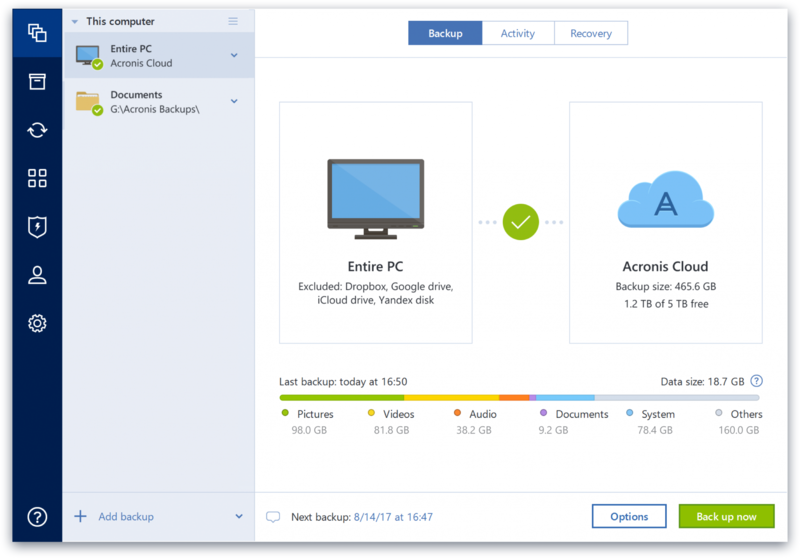 Acronis True Image is Personal Backup Software for all important data on Windows, Mac, iOS, Android, and Facebook. Control your data: backup in just two clicks, and view all your data and backup information in one placeYou’ll see the amount of data you’ve backed up, the number of backup versions in storage, and how many photos, videos, music and documents that are available to restore.